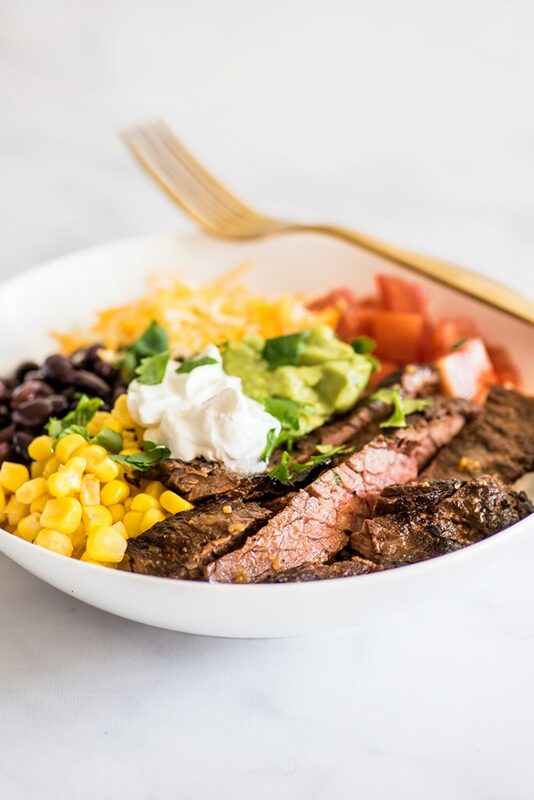 These simple Carne Asada Burrito Bowls are perfect for easy dinners and meal prepping. Remember that Carne Asada recipe (that really, REALLY good carne asada recipe) I posted last week? In that post, I mentioned that while carne asada is pretty perfect all on its own, it’s also killer when used in other recipes. 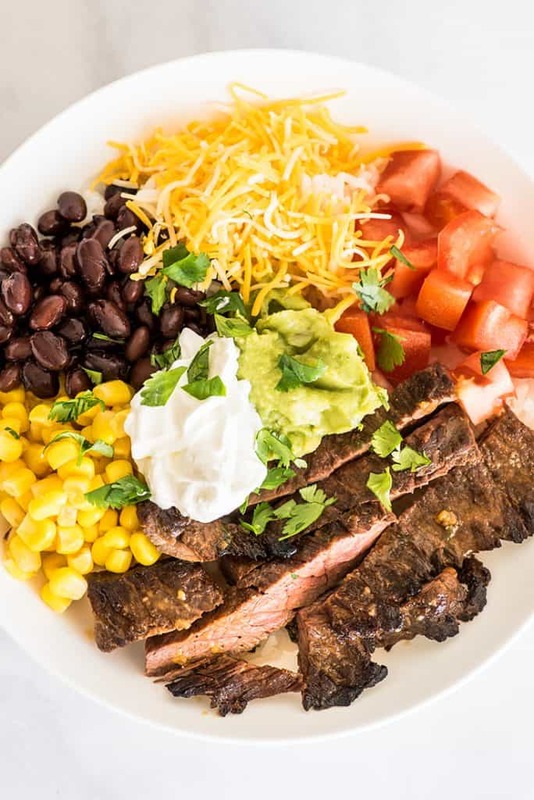 Today I have just such a recipe for you: Carne Asada Burrito Bowls. 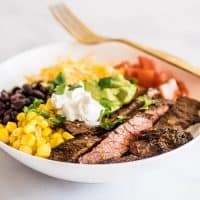 Carne asada makes an excellent burrito bowl filling, because it’s packed full of flavor that’s going to stand up well to all the other ingredients. No matter what else you add to your bowl, carne asada’s still going to be the star. 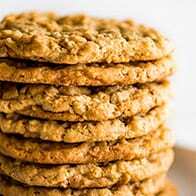 These things are so simple to throw together; they’re perfect to plan for nights you know you’re going to want something easy for dinner or for meal prepping. Aside from the carne asada, which gets marinated, broiled, and sliced before going in the bowls, this recipe starts with a bed of easy cilantro lime rice. 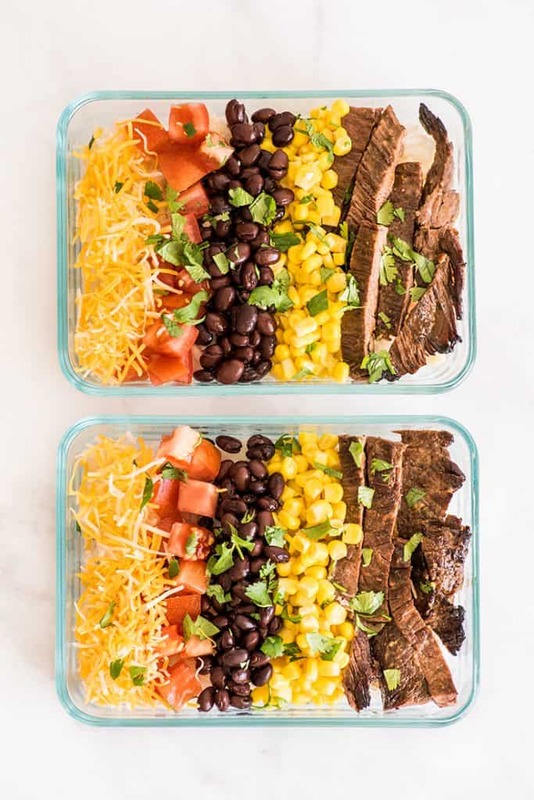 If you’re into meal prepping, burrito bowls also make great make-ahead meals (see recipe notes if you want to double the recipe and make a really big batch). To prepare the bowls in advance, place a layer of rice at the bottom of your container (I like these 5×7-inch pyrex dishes). 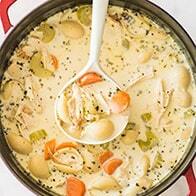 Add meat, beans, and any other ingredients you’re going to want to heat up before eating. Store any ingredients that won’t microwave well (sour cream, some more delicate veggies, salsa, etc,.) in a small separate container. If you’d like to double the recipe, this amount of marinade will stretch to cover up to 3 pounds of meat, so no need to double the marinade ingredients. If you’ve never made carne asada before, and you’d like a little more hand-holding walking you through meat selection and the cooking process, go read my original carne asada recipe post. 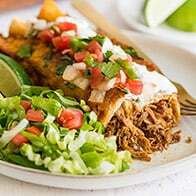 For more easy weeknight meals, try Salsa Chicken, Chipotle Chicken Tacos, Steak Fajitas, and Easy Chicken Shawarma. Stir together all marinade ingredients. 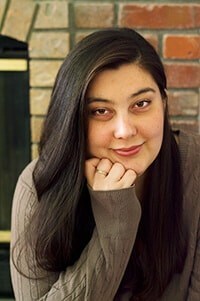 Place meat in a gallon plastic bag or large container and pour marinade over the meat. Marinate for at least 4 hours, up to about 24*, flipping the meat once halfway through. After rice has finished cooking, stir in half of the lime zest and cilantro. Taste and add more lime and cilantro to taste. Adjust top oven rack so it is about 4 inches from the heating element. 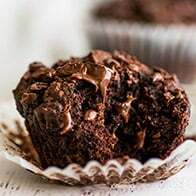 Heat broiler on high and place meat on a foil-lined heavy-duty baking sheet or broiler pan. Broil for 4 to 6 minutes per side, until done or an instant-read thermometer reads 135°F for medium-rare, 145°F for medium. Allow meat to rest for 5 to 10 minutes while you heat the rest of your burrito bowl ingredients. Slice carne asada across the grain into strips. Divide cilantro rice between bowls or food prep containers. Top rice with meat and the rest of your burrito bowl toppings. Serve and enjoy. *This carne asada is best with a long marinade. For best results, start marinating the meat the night before so it picks up as much flavor from the marinade as possible. *The extra liquid from the lime juice makes for slightly moister rice, which I find to be a good texture for burrito bowls. If you prefer drier rice, add the lime juice to your measuring cup before measuring the chicken broth so you're using exactly the recommended amount of liquid.